Read report on increasing efficiency with service automation. Learn 5 ways to modernize your IT service operation. Use Ivanti Service Manager’s automation services Workflow Designer drag-and-drop interface to enable service owners and business managers to adapt, design and take control of their own workflows and processes. Pre-defined integration workflow blocks seamlessly integrate to external systems and data sources so technicians and users have access to the important information they need exactly when they need it. 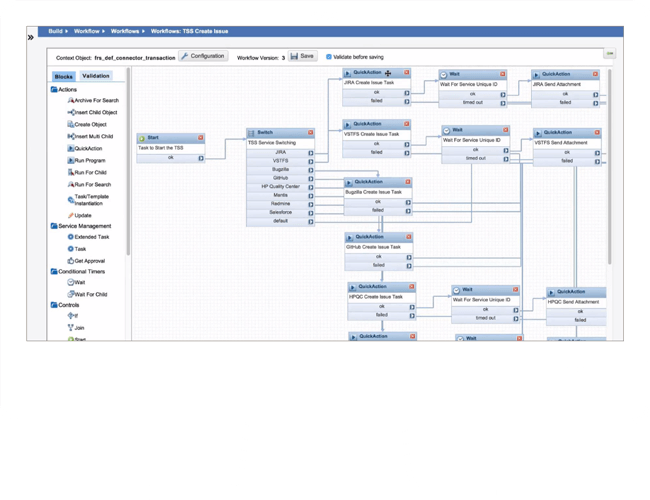 You can model all sorts of workflows in Ivanti, and we’ve trained a number of employees so we can customize them ourselves.